Meet the Millennium Development Goals with an emphasis on: Primary education for all; Elimination of violence against women and girls; Women’s economic sustainability (to eliminate poverty); Adequate food, clean water, shelter; Access to health care ‐ with special emphasis on maternal and child health, combating HIV/AIDS, and universal access to vaccinations and mosquito nets to eliminate the spread of disease. 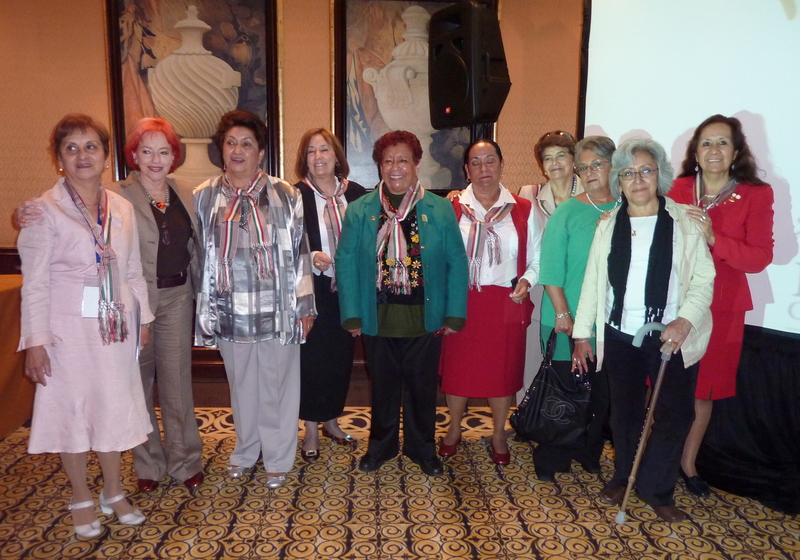 Implement UNSCRs 1325, 1820, 1882, 1888 and 1889 on peace and security for women and girls. Focus on the achievement of the goals of the Beijing Platform for Action and CEDAW with attention to leadership development for women. This entry was posted in Information and tagged GEAR, IFUW on February 15, 2011 by cfuwadvocacy. After the intensity of the opening days of the Triennial Conference, the two days of themed panels, interdisciplinary seminars and workshops provided an equally busy schedule, with a more relaxed pacing for those who did not have the responsibility of presentations. Lois Hunter and Joanne Craig served as rapporteurs for two of the sessions, recording the key points and discussion items covered. I met Jan Harvey from CFUW West Vancouver who is serving as the minuting secretary of the business sessions, and Penny Henricks from CFUW Belleville. One of the great pleasures of an international women’s conference is the opportunity for networking and learning. It never stops. 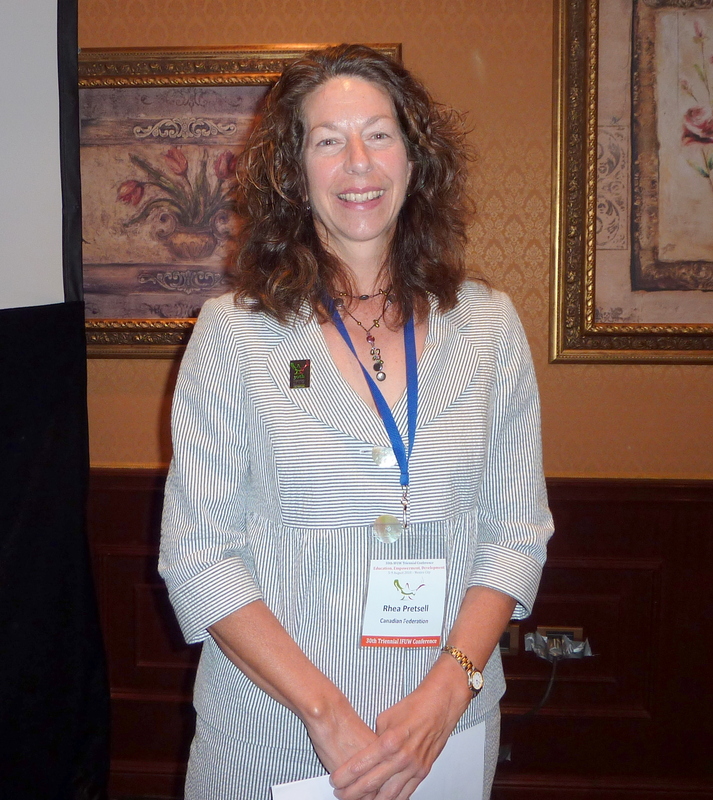 This year we had a North America Regional Meeting with close to fifty people in attendance. We had introductions, an outline of what CFUW and WG-USA are doing and some ideas discussed on what to pursue in the coming Triennium. Mexico elected not to attend as their culture and language fit more closely with Latin America. 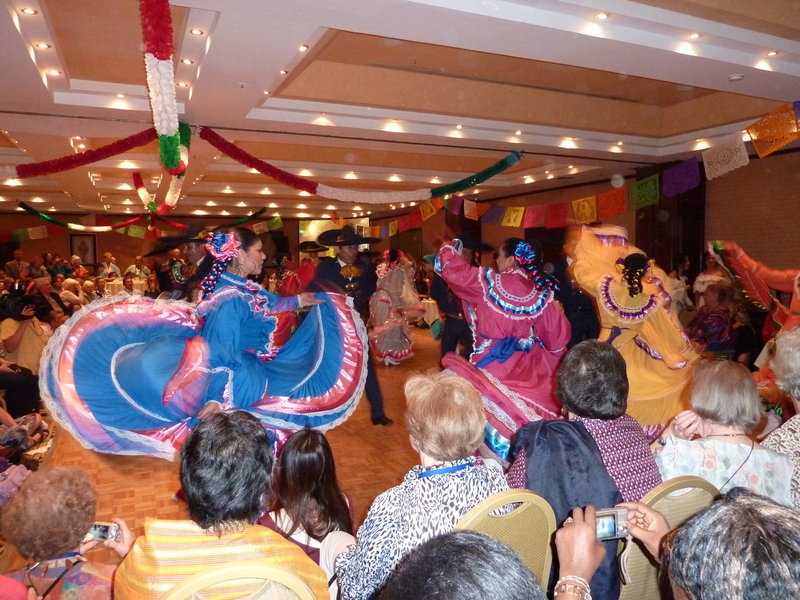 At the Mexican Evening, we enjoyed the traditional music, dance and food of Mexico as we mingled and enjoyed the company of women from around the world. The evening was topped off by desserts and tequila. IFUW Treasurer Catherine Bell from Guess Where? This entry was posted in IFUW Conference and tagged IFUW on August 11, 2010 by cfuwadvocacy. 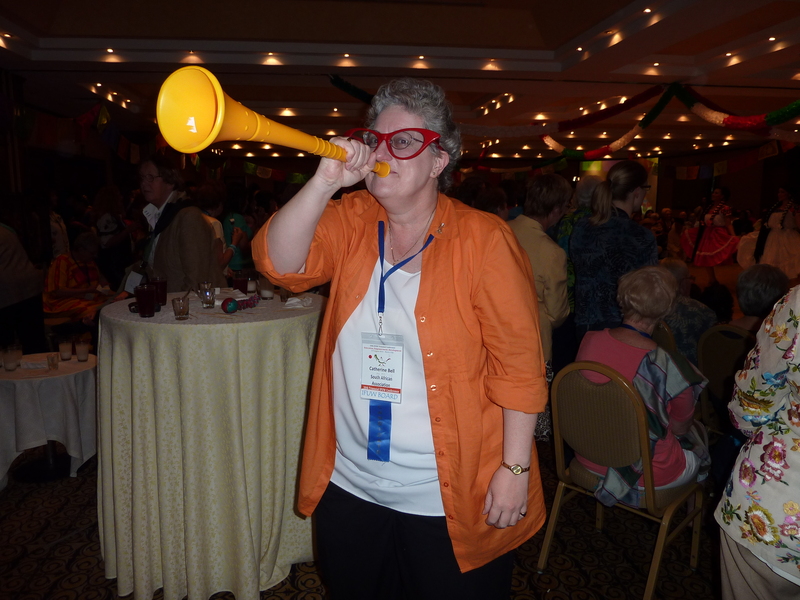 If you’ve loved the posts that Ardith Toogood has been blogging from the IFUW’s 30th Triennial Conference in Mexico City, check out the IFUW’s Conference blog here. Participants are sharing their experiences at the workshops and other events of the Conference. Keep an eye out for Ardith’s next post! This entry was posted in IFUW Conference and tagged IFUW on August 10, 2010 by cfuwadvocacy. The first official day of the 30th IFUW Triennial Conference is here! More CFUW members have arrived: Lisa Chenier of Vancouver, Rhea Pretsell of Belleville, Joanne Craig of Montreal and Muriel Smith of Winnipeg whose plane landed in the wee hours of the morning. We had our first 8:00 am CFUW caucus meeting in the lounge outside the breakfast restaurant, Cafe Miro, sharing information, making announcements and thinking about our votes for the elections. 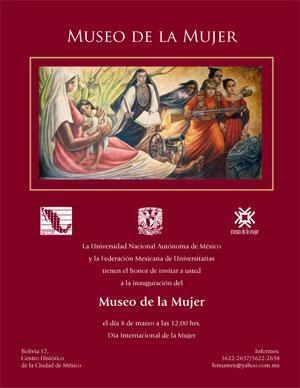 The IFUW Opening Ceremony featured Dr. Patricia Galeana, FEMU Founding President who welcomed us to Mexico and the 30th IFUW Triennial; Minister Olga Sanchez Cordero of the Mexican Supreme Court; keynote speaker Kyung-wha Kang, United Nations Deputy High Commissioner for Human Rights; a deputy for Dr. Luis Raul Gonzalez Perez of the Universidad Nacional Autonoma de Mexico and Louise Croot, IFUW President. were outstanding and will be made available to us for posting. 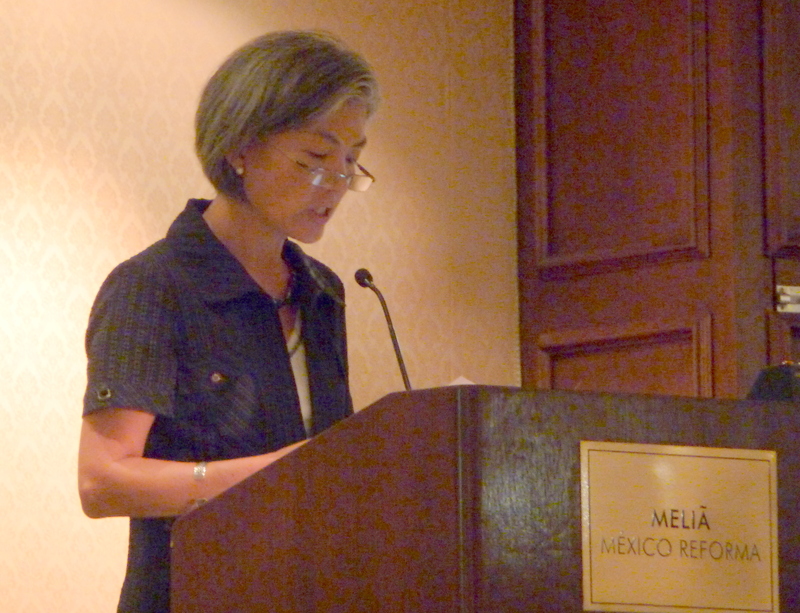 Minister Sanchez had to leave immediately following her address for an important vote on gay rights at the Supreme Court. We were entertained by a superb a cappella sextet, Mexicalia Chorale, before the cake for the 90th IFUW anniversary celebration was brought in by the waiters. 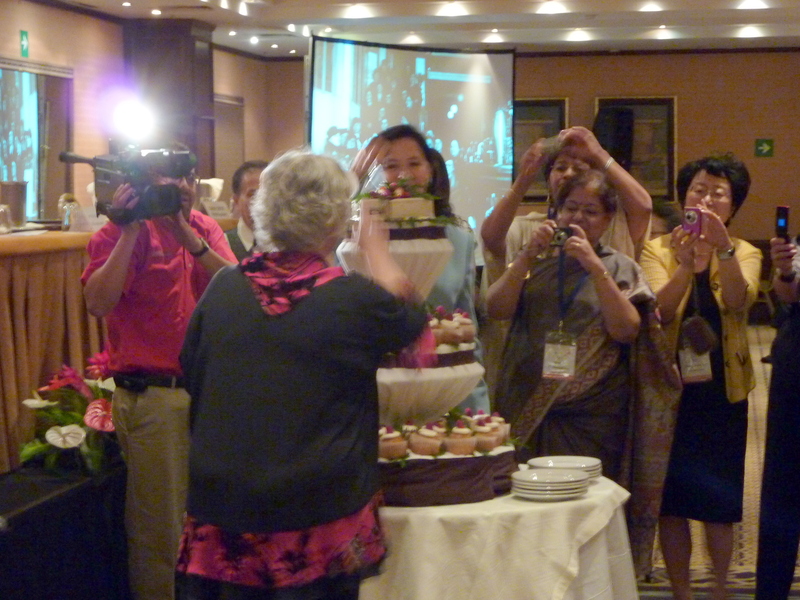 I have a wonderful photo of a crowd of photographers, the press and members crowding around to witness the cutting of the cake. After the tea break we heard the speeches of all the candidates for CFUW Board positions including our own CFUW member, Phyllis Scott. Some of the CFUW delegates attended the IFUW Fellowships Program lunch and the rest of us the Bina Roy Partners in Development Program (BRPID) lunch. In the coming Triennium, donors to the BRPID will be able to specify the project they wish to support. Then the voting delegates had a short caucus meeting before casting our votes for IFUW President and Vice Presidents for 2010 – 2013. Back we went to Business Session 2 for the financial report and acclamation of Catherine Bell as IFUW Treasurer, introduction of the candidates for IFUW Standing Committees and the announcement of the next IFUW President: Marianne Haselgrave of the British Federation. We look forward to working with Marianne and congratulate her on her new position. We also congratulate Phyllis Scott who tied on the first ballot and narrowly missed the second. We are very proud of you, Phyllis, and look forward to tapping into your knowledge and expertise on IFUW and international issues. 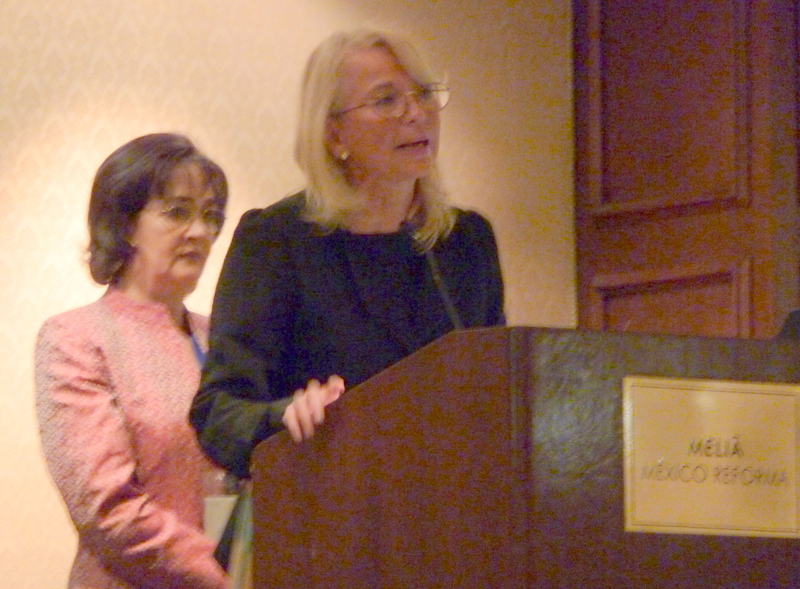 After the Tea Break I was pleased to be one of several presenters on national projects at the first Plenary Session. 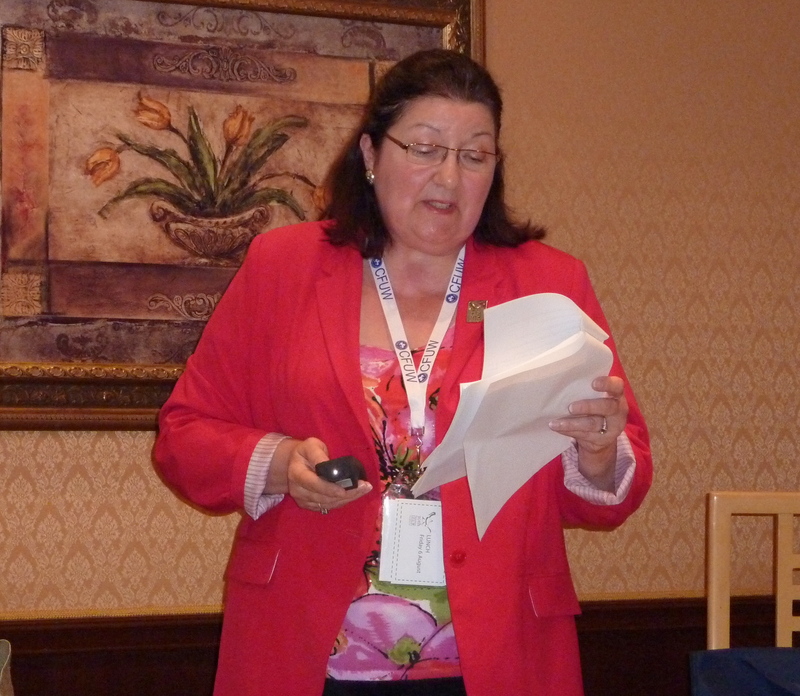 My presentation on “The Collaborative Work of CFUW” will be available on the website after I return to Canada. Then as CIR I cast the CFUW votes for the Standing Committees, grabbed a sandwich and then dashed off to the Open Session on Resolutions. Our adviser from the IFUW Resolutions Committee, Rae Duff from New Zealand, who had been very helpful to CFUW via email over the last few months, was with us as we heard and gratefully accepted amendments from those who came to discuss, in particular, our Climate Change proposed resolution. Cynthia Burek who has expertise in this area, told us that the final amended resolution looks very good. This session lasted from 7:30 – 9:00 pm. Brenda and I were thirsty by that time and headed down to mellow out in the bar with Ruth Suderman and Sandy Millen who told us that a MAS card, available at the front desk, would save us 50% on breakfasts! Ah, the things you learn from the wise women of IFUW! Time for bed! This entry was posted in IFUW Conference and tagged IFUW on August 9, 2010 by cfuwadvocacy. The IFUW Conference registration desk is now open! We received our conference bags, complete with all the documentation and a beautiful silver 30th Triennial pin with details in red, white and green – the colours of the Mexican flag. At breakfast we said ‘Hello’ to Susan Murphy, VP BC who arrived first class and with a voucher since she had been delayed in Vancouver for 24 hours, Nora Kudrenecky from CFUW Kitchener-Waterloo, Antonieta Marticorena from CFUW North Toronto, Carol Hare from CFUW Mississauga. Later, Marian Ennis, IFUW Convener of the Hegg-Hoffet Committee arrived with her husband from Vancouver. The IFUW 90th Council Meeting – akin to our CFUW Pre-AGM Board Meeting – took place from 9:00 am to 5:00 pm. 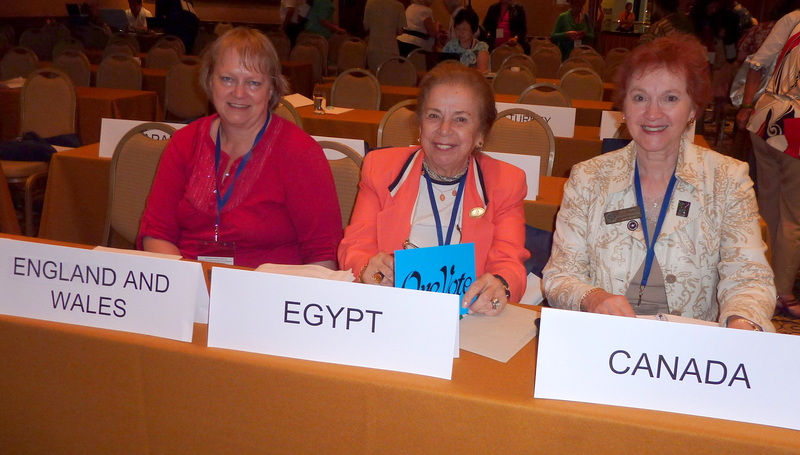 with CFUW President Louise Croot from New Zealand presiding. The Council is comprised of the Board ( the President, the four Vice-Presidents – Phyllis Scott from Canada, Marianne Haselgrave from Britain, Shirley Randall from Rwanda and Sushil Bhardwaj from India, all candidates for IFUW President 2010 – 2013 – and Treasurer Catherine Bell from South Africa plus the CIR or designated representative from each NFA (national federation or association) who votes on behalf of her affiliate. We have designated spots with our country’s name indicating where we should sit. As CFUW CIR I was proud to represent Canada. Observers were welcome. 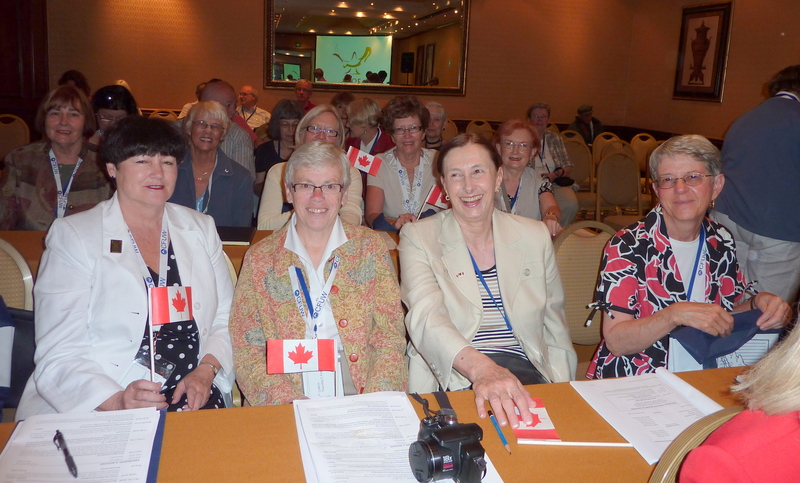 CFUW President attended except for the period when the Orientation for First-Time Conference Attendees was held. Lois Hunter attended the briefing for Rapporteurs. We attended the Meet-the-Candidates gathering where our five candidates for IFUW positions were circulating with the other countries’ candidates. In the evening, Brenda was lucky to get one of the 40 tickets available to the inaugural opening of the new Mexican Women’s Museum. Margaritas or tequila sunrises were served for all IFUW registrants at an informal welcome in the lovely hotel lobby and bar area. Networking, networking, networking! Phyllis’s luggage is still missing – for four days now! She fell on the first day in Mexico and has a sprained and bandaged ankle and bruises on hip and shoulder. Who needs this at any time – but especially when running for President of IFUW. We had another “choose an outfit” session in my room to ensure that she is decent (her word!) for her candidate’s speech tomorrow. She looks positively spiffy! Good luck, Phyllis!